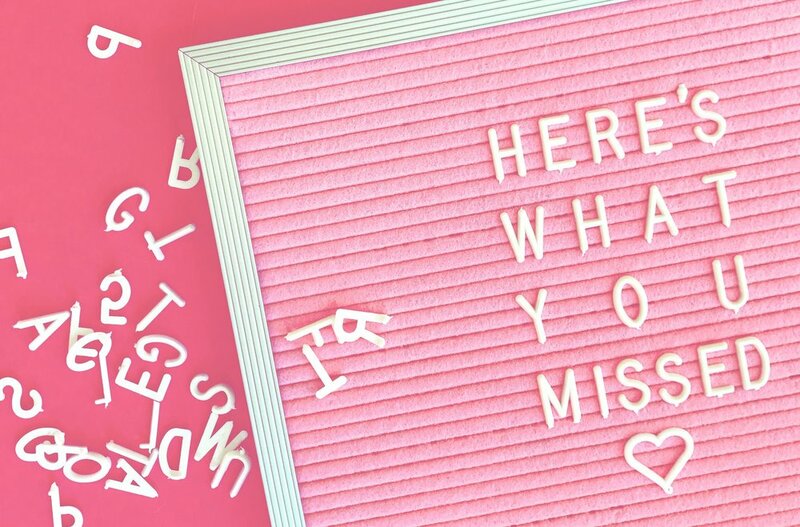 HERE'S WHAT YOU MISSED — When it Rains Paper Co. | Colorful and fun paper goods, office supplies, and personalized gifts. Guess who’s back??? Back again. Shady’s back (we’re totally not shady BUT please tell a friend). First things first, we owe you an apology. We didn’t even say goodbye and I guess that is kinda shady. Blogging is A LOT of work and to be honest, we just got burnt out. Whether it was the topics or the frequency of posts, we set unrealistic expectations for ourselves. We got to a point with our business where we didn’t know how to balance everything. Our content didn’t feel very rich and it was the easy thing on our plate to turn away from. Not this time! We’re feeling super energized and ready to feel the sense of community that blogging brings. We probably won’t post as often as we used to, but when we do, we promise it will be worth it. With all of that said, hi friends! We’ve missed you and your constant support so much! It’s been 18 months since our last post so the very least we can do is catch you up. Here are the top 10 things you’ve missed since you last heard from us. This past summer we rang in Kat’s 30th birthday in Key West. Complete with flower crown night, a private boat charter, and the nightly Duval Crawl, it was a blogger’s dream. I won’t reveal too much now, you’ll most likely see lot’s more of this trip including a brand new Key West travel guide! Our clunky website finally got the makeover it deserved! We launched the new site last April but we still love it so much! What do you get when you combine German beer halls, sing-a-long Sound of Music tours, gondola and hot air balloon rides, and pasta making classes? Bliss. Heaven. Euphoria. All-the-dreamy-words! A good bit of summer 2016 was spent in Europe checking places and activities off of our bucket list. We visited Germany, Austria, and Italy but our final stop in Tuscany will never be topped. Ever. A lot of you who kept up with our last blog know that our dad passed away about 10 years ago. I’ll be honest, this was a bittersweet day for us but there is no one more deserving of happiness than my mom so we wouldn’t miss her special day for anything. Isn’t she so pretty?! Some you may remember we started Pure Barre before my 30th birthday trip to Miami. We picked it back up over the last year and officially hit our first milestone – 100 classes! EEEEK! Last August, we were selected as Etsy’s featured shop. With almost 2 million shops on Etsy, this was HUGE. 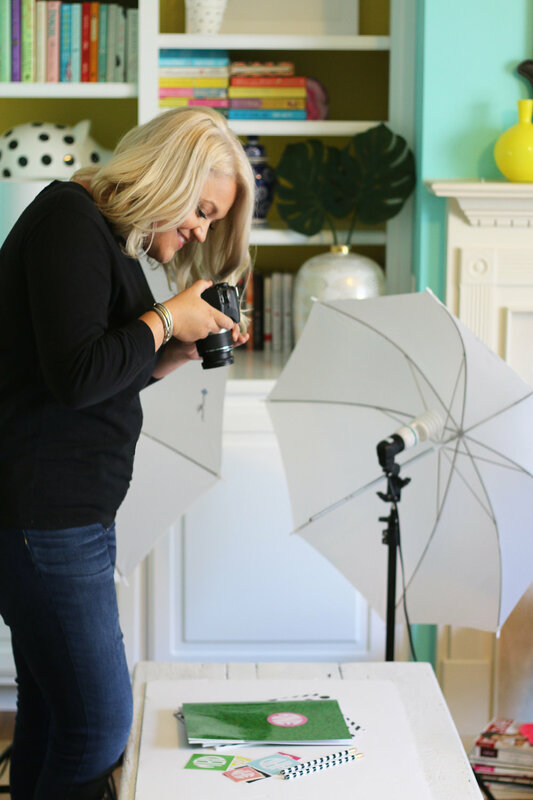 Our frantic photoshoot and interview with Etsy were quite entertaining. Read the entire article here. 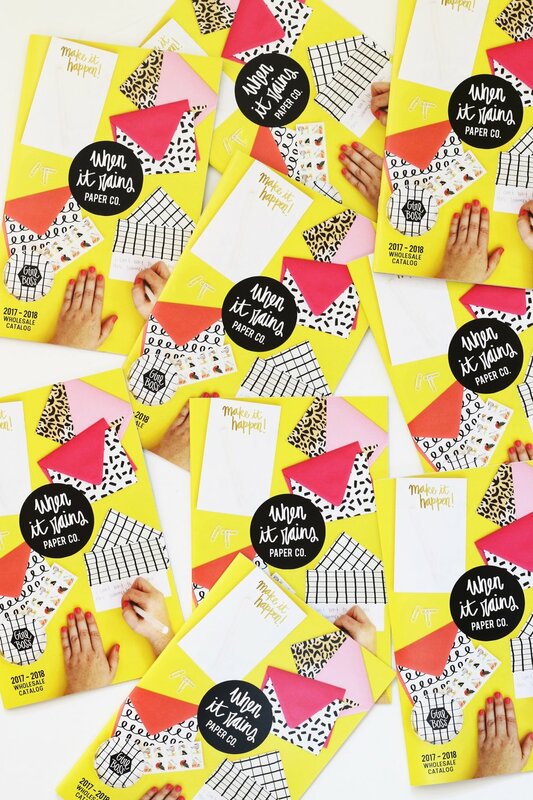 The biggest When it Rains Paper Co. development over the last year has been the launch of our wholesale program and first ever catalog! It’s been a TON of work, maybe more than we planned for but it’s definitely the direction we want to go in. We’ll get into this in a future business post but Kat and I really want to spend less time doing order fulfillment and more time designing new products and getting them into retail stores. Maybe we’re already in a store near you! Honestly did you expect anything less from us? It’s no surprise that we work hard so that we can play hard. Here are some of the adventures you missed. I see so many future travel guides! Happy November y’all! It feels good to be back.